The Chameleon® Tactical Transmitter, Chameleon® II, Chameleon® Extenders, and Chameleon® Feather Contacts. 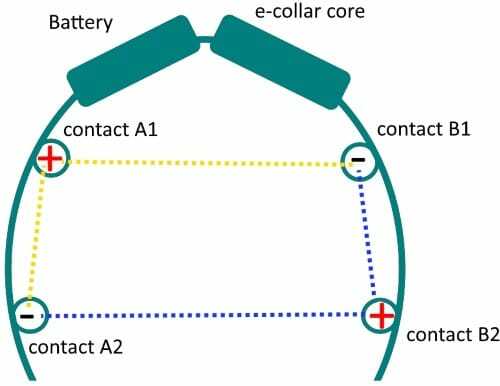 In December 2016, I made a report about the electrical signal in e-collars. The conclusion was that there is a big difference in that electrical signal between the different vendors and the signal that –in my opinion- won the test, was that of Martin System. 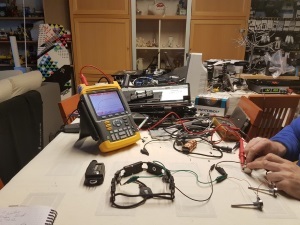 This review is about the Chameleon® e-collar equipment, other e-collar brands, e-collar connectivity and learning processes. The Chameleon® equipment in this review are prototype models, not all features are yet available and they look like prototype models (unfinished) but a good looking product is the latest step in a production process so keep that in mind. The specific used equipment is the CTT® (Chameleon® Tactical Transmitter) & the Chameleon® Extenders with contactfeathers. The CTT®is called “Tactical” because some of its features (for example, it’s tough and it has no external antenna) and the name “Chameleon” is chosen because it adapts to the surrounding. The Chameleon® collar is –next to a qualitative collar- also a collar where the design looks much better and more integrated than other e-collars. 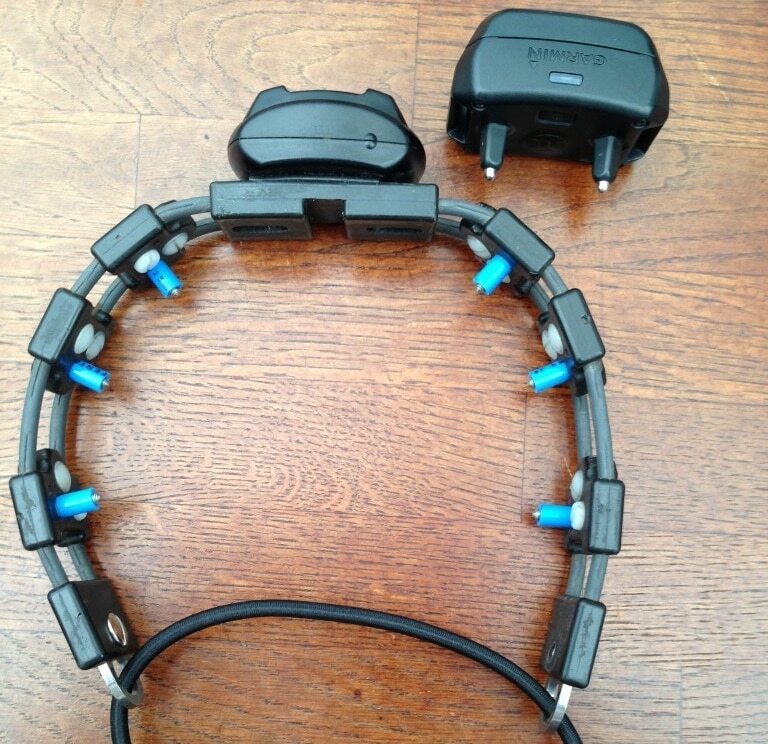 Chameleon® I: This was the first Chameleon® collar with 2 bricks, so 2 power sources. The current Dogtra ARC looks a lot like it, maybe too much to be a coincidence? 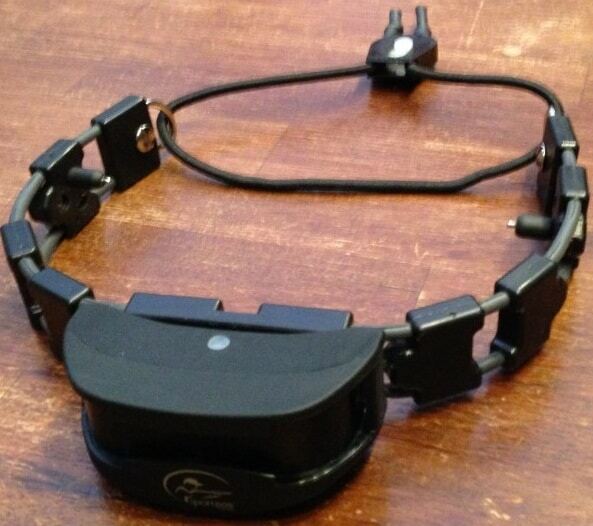 Chameleon® Double contact collar receiver: This is the current collar with one power source and 4 contact islands. 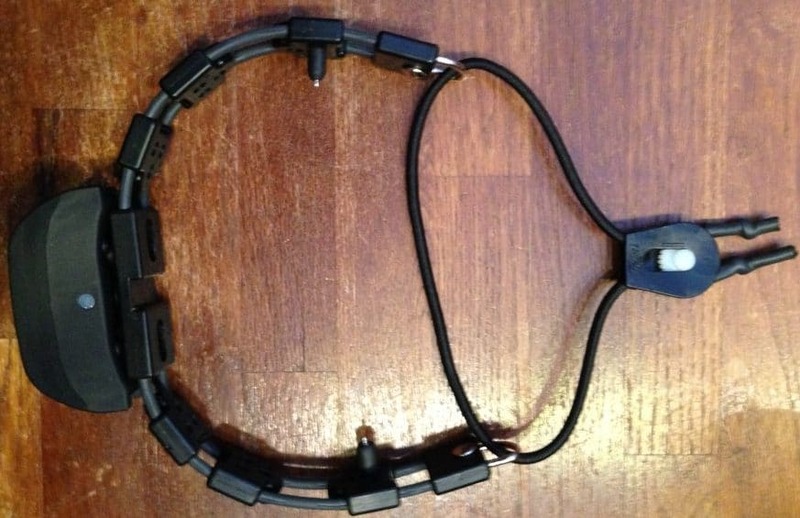 With this collar you have the possibility to connect multiple contact points or up to 4 feather contact points and you can charge it with a cable or via an induction plate. You can buy the Chameleon® II in a smaller version for little dogs too, then it has 2 contact islands instead of 4.With the Chameleon® II collar, you also have the possibility to remove the electrical signal in case you live in an area where e-collars are prohibited (for the wrong reasons probably) or if you would travel to an area where e-collars are prohibited. Without the electrical signal, you can still use vibration and sound. To remove the electrical signal, you need to reprogram your e-collar with the software on the Emily USB). Chameleon® Tactical Transmitter: The CTT® is the transmitter which replaces the Martin System transmitter which was used before. In fact, it’s not only a replacement but a new product with mechanically and electronically redesigned features, and the CTT® will be available in August/Sept 2017. Chameleon® Tactical Transmitter B: The CTT-B® is the transmitter which will have the possibility to communicate bi-directional. This means that it will be possible that the receiver will send information to the transmitter. Today, the transmitter sends a signal to the receiver (the e-collar) and that’s what we call unidirectional (one way). With the CTT-B®, you will receive information on the transmitter about skin connectivity, radio connectivity, temperature, battery indication for collar and transmitter. This product is not yet in production and will be available in 2018. Emily USB: The Emily USB is the software you need to program/reprogram your e-collar. With the Emily software, you can remove the electrical signal and change other features too. Chameleon® Feather Contacts: The feather contact points are add-ons for your e-collar. 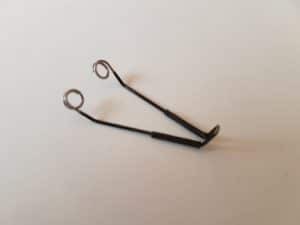 You have the possibility to use normal contact points or you can buy these feather contact points. Later on in this review, you will understand why you want the feather contact points! Chameleon®Extenders: The Chameleon® Extenders is just a collar that looks like the Chameleon® II collar but without the integrated e-collar receiver and without a transmitter, just the collar! With the Chameleon® Extenders, you can use the feather contact points (or other contact points) and you can connect your e-collar brick from another brand to it. You have the advantages of having the movable contacts and the possibility of using feathers, and you have the two sides with contact points. The different products are sold separately, just like you can buy a car with extra options but with this equipment you can start with the basics and buy the options afterwards. Before I explain more about the Chameleon® equipment and features, I’ll share some general information about e-collars, why you should/could use them and some knowledge of the psychology of learning. I’ll share that information because you should understand that training successfully with an e-collar is more than only pushing some buttons. 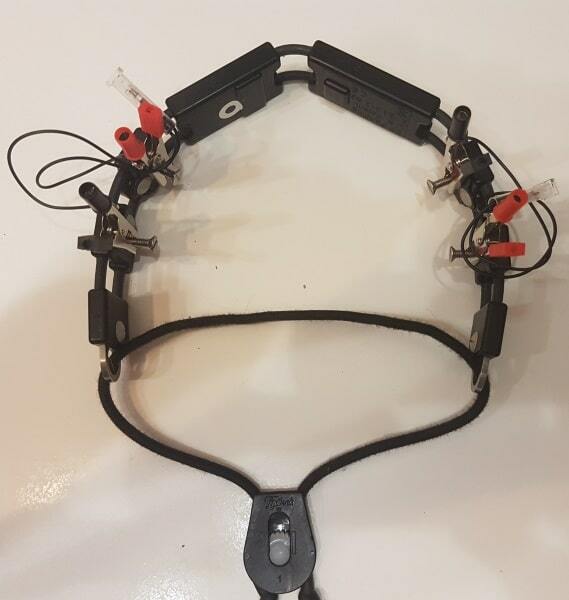 The original plan was to test the Chameleon® II e-collar but I received a prototype (and a lot of information) of a new product, the CTT® (Chameleon® Tactical Transmitter). The CTT® will be a new product, the “Chameleon® Tactical Transmitter”: a spinoff of the PT3000 transmitter by Martin System with mechanically and electronically redesigned features. One of the features of the CTT® is that it is put in a strong housing, the kind you can throw against the wall and it will still work…in a way of speaking of course, or not? Another feature of the Chameleon® II collar is the option to use the patented Chameleon® Feather Contacts. These are alternative contact points for better skin connectivity. Those Chameleon® Feather Contacts are part of the patent (taken and granted) of Michael and Bart Bellon. I was told that approximately 95% of the people who work with an e-collar have connectivity issues, that’s a number nobody can confirm for sure but after working with the Chameleon® equipment with these alternative contact points named, Chameleon® Feather Contacts, I tend to believe that. The Chameleon® equipment with these Chameleon® Feather Contacts and -together with other features- make a difference in e-collar stimulation so we don’t speak as e-collar stimulation as a correction only but also as e-collar stimulation as a language. This review is my own opinion so if you don’t agree, that’s your right and the lab tests are my measurements and there is always a chance that something is not correct since I don’t have a research team doing this stuff. Why E-collars and how do they help in dog training? E-collars are a training tool, they are not a magic solution but they are a very valuable tool in dog training. In my opinion, the most important is your relationship with your dog and E-collars don’t ruin that when used in a responsible way. I would also have to go higher and higher on the e-collar stimulation to keep my dog under control but now a few years and a lot of knowledge later, that explanation proved to be totally wrong. With the e-collar as a training tool, you can do obedience training and the result of a better obedience can be a better behavior in general. Because of the better obedience, the dog gets less sensitive for some situations where you have uncontrolled behavior. Repetitive training in difficult situations with a positive end creates new behavior in your dog, positive behavior! You can’t change the DNA/personality of your dog but when you can change his behavior by obedience training, you are on the right track. Using the e-collar as the only tool to rely on is wrong, the e-collar is and should be a training tool and nothing more than that and there are also things you can’t do with an e-collar. When you want to concentrate on obedience training, an e-collar is a great tool. E-collars come from hunting and sports dog training, in the old times they could train a dog very good at short range but it was much harder at a distance. So trainers were very good in leash work but long distance was harder and that’s how they started to use e-collars. It was only later that e-collars were used for obedience training with pet dogs and eventually behavior modification training. You can change the behavior of a dog positively or negatively with *ANY* tool, so abuse is always possible. If you spoil your dog and he gets aggressive and bites people, when you feed him too much, don’t do anything with him/her etc… that is also some kind of abuse. Don’t focus on the tool, focus on the way it is used.  At GoBobby, we don’t believe in the e-collar as the magical solution, it is a training tool and the three pillars in our training system to get the most out of your dog are “obedience training”, “behavior” (how you communicate with your dog) and “dog intercommunication” and everything you do affects your relationship with your dog (good or bad). Combining those pillars are –as I believe- the solution to get the best relationship with your dog in ANY situation and an e-collar is a good tool to help you with that. If you only rely on the e-collar to handle your dog and all other communication with your dog is poor, then you use this tool wrong. You can work from a distance. It is potential freedom and that is a big reward for the dog. You can use it to motivate or to correct. Your dog will learn faster. Your dog will have more fun in the learning process. Most people will probably only use it to give freedom to the dog and that’s not so difficult to learn but still then, there is a learning curve. 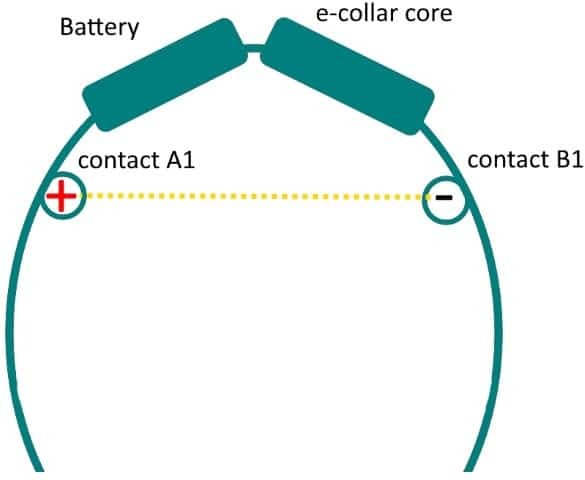 E-collars are made of multiple components and the most important components are the e-collar core (this is the brick with the electrical signal), the collar itself, the contact points and the transmitter. 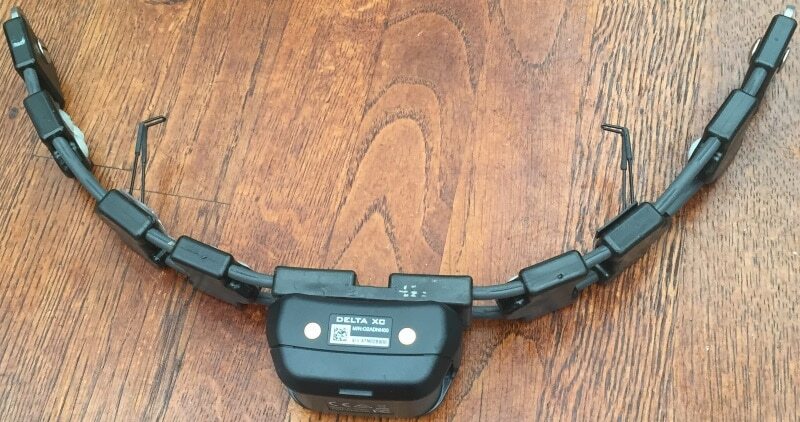 As mentioned in my previous review about e-collars, the electrical signal in e-collars is very important and when you compare it with a car you can call that the engine. But if the electrical signal in E-collars is so important, then at least equally important is how that signal is transferred. You can have a car with the best engine but if the connection with the road isn’t good…then you’re out. When a race team makes the wrong decision and puts the wrong tires on a car, they can lose that race or when you are driving in the snow with the wrong tires…then you might crash and it is exactly the same with e-collar connectivity. How is the signal transferred from 1 contact point to the other contact point? In theory that is a very simple question: The signal finds its way from one contact point to the other contact point along the easiest path. Potential obstacles (that is a higher resistance for the electrical signal) can be circumvented by going to a higher level or by repeating the stimulation on the same level. Repeating the stimulation on the same level with potential obstacles may work because the initial skin resistance (I’ll explain “initial skin resistance” later) may already be dropped a bit but since timing is everything, it is not desired. Potential obstacles can be everything that makes the resistance for the signal higher to pass through from one contact point to the other contact point. That can be hair, an e-collar which is not connected tight enough, a different skin resistance because of a wet/dry skin, the position & the movement of the dog’s body can make the connectivity better or worse (running, sitting, laying down etc…), some dogs have more fat just under the skin which also makes the resistance higher or the dog feels the signal less because of other environment variables. Experienced trainers know how important it is to strap an e-collar tight enough to the skin to have that good connection and even then you may encounter difficulties with some dogs. It is also important to brush your dog so that excess hair doesn’t block the signal but how many people do that regularly? Because of potential difficulties like that, people tend to find workarounds. One workaround is to use a double brick system (or sometimes even three bricks). 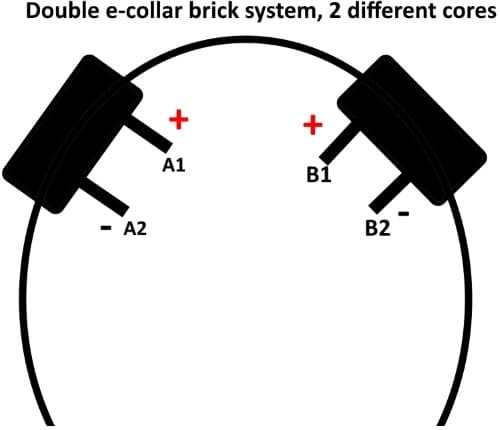 Double brick means 2 e-collar devices on one collar, not because you need more power but because of the guarantee that you have 100% contact with the skin. It doesn’t look very nice…2 bricks at the side of your dog. It’s a double power source so you need to charge 2 e-collar devices and what if one battery is charged more than the other battery or one battery is drained faster than the other battery? Then you will have more power/more intense feeling on one side and if that one side has slightly less contact with the skin, you will go higher because you think your dog doesn’t feel it and then again, you might go too high and that might demotivate your dog. Maybe there is little chance that this occurs but still, there is a chance. You need to know that you will have to go to a lower level because it feels more intense if you have good contact on both e-collars and the reason for that is that you are working with 2 different power sources. You still don’t know if you have 100% good contact! Everything can work as planned and maybe you will never have a problem with that setup but as technology evolves in electronics, I also expect innovations in e-collar technology. In e-collar technology you see different kinds of innovations but you hardly ever see marketing statements or innovations about the electrical signal or the contact points. The reason for that is maybe because those specific innovations mean more Research and Development and that costs a lot of money. Using existing technology doesn’t cost a lot of money and marketing is probably a better money maker than investing in R&D in this market where the end-users don’t speak. You also hear statements as “muscle stimulation”, “tens machine” and “blunt stimulation” but that is sales talk. I will explain that later on in the “frequently asked questions” section. The electrical signal is not something your dog knows by nature, it is important that he learns in a good way where the signal comes from and that is a learning process. That is when we talk about dog training and not specifically dog behavior modification, because in dog behavior modification it may be desired that the dog makes the association from the stimulation with something else (ex. snake avoidance training). It can take a lot of repetitions to really know something and execute it as an automatic reflex movement so be patient with your furry friend and use other motivators too. Using the e-collar is not a first step, the first step in the learning process is the learning phase and during that phase I don’t use an e-collar at all. I generally start using the e-collar in the automation phase (for some exercises like walking, it’s different). So about the learning process, if you learn something and you stop & correct yourself at every mistake you make, your brain will have to do more effort but it will process the information better. And when your brain needs to do more efforts to get things done, the total learning time will be shorter with a better end result but of course you also need to be motivated or else, you will hate what you need to learn and the learning process will be slower instead of faster. If you understand that making mistakes and being corrected on those mistakes is important in the learning process and if you also know how you can manipulate that process so you can learn faster and build skill, then you are making progress much faster! And when you are making faster progress, you achieve your goal sooner and if you can do that with ignition and motivation, everybody wins! In responsible obedience dog training with e-collars it is the same, the use of e-collars can help you to achieve your goal sooner and better. Ideally is to let the dog think that he has control because he knows how to stop the stimulation and of course, you want him to do that with “ignition” so it is very important to motivate your dog! If you want to buy something for your [WOEF WOEF] and you don’t want to buy a [MIAUW] in a sack, then you have to come to …. It was something like that, a bit different but you get the idea probably. The times that there was an animal sound in the commercial, your brain had to work harder so you could link the sound to the animal and because your brain works harder, you will remember it longer and when you remember it longer, you might remember it when you need something for your pet so it is better advertising. If you are driving your car and you have to find your way to some place, you will find it faster the second time if you had to search for it yourself the first time without the help of a GPS or someone instructing you how to drive. In these examples, your brain has to work harder for microseconds but that will give you a better end result. These microseconds mean extra effort, a correction in your brain and they make sure that you work harder without even knowing and you will achieve better results in a shorter amount of time. Okay, you will notice that you struggle a bit more but that’s the whole idea of getting better results in less time. Whatever it is that you learn, the best way to learn is to struggle during your learning process because that’s a deeper experience but that will only work if you have motivation & ignition. That struggle you experience in a learning process is something you can see as negative, because it’s annoying (not painful) that you struggle and that’s a negative feeling but that’s not bad if the negative feeling is not “painfully” negative and when the motivation is high so in fact it is essential for faster and better/deeper learning! The reason why you don’t stop during that learning process is because you are motivated, there is a desire to achieve something, a desire for a reward! That desire releases a hormone named dopamine (https://youtu.be/axrywDP9Ii0) and that is one of the reasons why you continue. The moment the struggle stops on one specific moment is also a positive feeling because you “overwon” something and you are happy with the stepping-stone you reached and when you stop at the goal you set for that specific time in the learning process, that’ s a positive feeling too because you are finished…for now. The more you will repeat this way of learning, the better you will get in whatever you want to do because the more you repeat something, the more myelin that gets created (https://youtu.be/f2O6mQkFiiw) and the more that a certain action becomes automated like an automated reflex action. The same is true for unwanted automated behavior and once these superfast myelin highways are created, it is difficult to stop unwanted behavior because you can’t erase that myelin wrapped connections and that’s why creating alternative behavior is so important when dealing with certain unwanted behavior. There are different reasons for unwanted behavior like health problems, anxiety, nature (bad DNA), different kinds of aggression etc… so it is not always that simple because dog training and behavior modification is not an exact science. But if you combine these training principles with “low level motivational e-collar stimulation” at the right time in the training process, then you can use the e-collar as a motivator! Of course, that “struggle feeling” cannot be a harsh feeling because when it is a harsh feeling, your dog will lose the interest, it’s too negative. When there is no hope for a reward or the expectations for your dog are too low or there is too much negativism, your dog will get demotivated! That hope is the dopamine hormone, it is the hope to get rewarded, the pursuit of happiness (as Robert Sapolsky explains it). If you can motivate your dog and make him expect a reward, his desire will even get higher when you work with random rewards (if you use that at the right time in the training process of course) and that’s how we reduce the use of some rewards in dog training. Now how does this help with dog training and specifically when using an e-collar in general obedience training? When your dog understands the e-collar stimulation as a language, he will respond to it and that moment of stimulation is the moment where the brain needs to work harder. So during your training program, when you start with the automation phase in the learning process of some exercise, you can use the e-collar as a motivator (low distractions, low stimulation so just a motivational feeling) and it is only during the generalization phase, when the context changes (more distractions) that you might need to go to a higher motivational level. I will not go into detail about that because that depends on a lot of things, too much to explain here. But if you want to use “low level motivational stimulation”, you need tools you can rely on and that’s where the Chameleon® equipment comes around the corner. With the Chameleon® II you will have the best collar with the option of the best contact points (Chameleon® Feather Contacts), and with the CTT® or the PT3000 the best transmitter with the best electrical signal and the possibility to stimulate at the exact moment with the finger kick (a finger kick is a remote button for a selected program on the transmitter and which you can connect on your finger as a ring, you can also synchronize multiple finger kicks to the transmitter). The reason why you could need multiple finger kicks is because –depending on the moment and the context in your training schedule with e-collar training- you need different stimulation levels and you need the possibility to change levels instantly and use them instantly because…timing is everything and your dog will learn best when you motivate him at that exact moment in the training session. It will be possible to configure 4 finger kicks maximum and the moment you press the button on that finger kick, the configured program is executed instantly. Using those finger kicks & changing programs instantly like that is –as far as I know- not possible with any other e-collar. 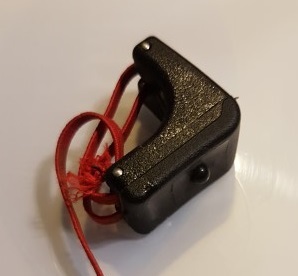 The CTT® and the PT3000 from Martin System are the only transmitters that can be paired to a cordless finger kick (I think one other brand has something like it too but it is with a wire and you can probably connect only one). Again, this doesn’t mean that an e-collar is a magic tool, you still need the knowledge about all other aspects in dog training and you need that knowledge even more once you use the e-collar stimulation as a language. The e-collar supports your training and it helps a lot in remote training but you still need to know how to use motivators like food/toys/ attention/play, leash techniques and general dog behavior. The way your dog can learn the e-collar stimulation as a language is by learning him that language in a way that he will understand what the signal means and knows how to respond to it and how to shut it off, the dog is in control but of course, the dog needs to know what is asked from him. When you give a command the dog knows for sure, the dog should respond with learned behavior or he might -because of another reason- respond with unwanted behavior. If his behavior was not the desired behavior, you can motivate the dog with the e-collar to perform the wanted behavior if he perfectly understands what you expect from him. How you need to train exactly with an e-collar from a to z is far beyond the scope of this review so I won’t go into detail about that. Nevertheless, to understand e-collar stimulation even better, I can recommend everyone to test it on yourself but on your own responsibility! Do a training sessions with yourself as the dog and let a partner train you with an e-collar (low/motivational stimulation) and do an exercise you know for sure and something new that you don’t know. You will understand that it is not that easy as a handler and as the dog to understand what the other one wants since your verbal communication is limited or non-existent . It will give you a better understanding about how and when to use an e-collar or you will understand that you need to follow a training course to get the best results. When we use e-collars in dog training, a good connectivity with the skin is very important. If you are not sure about a good connection between the contact points and the skin, you miss the point of using the e-collar as a motivational training instrument and the stimulation won’t be felt at the correct motivational level because of potential obstacles. When there is bad contact, the user thinks it isn’t high enough and raises the level. The level is then raised high enough until it jumps across to the skin and then it is always too high—higher than intended. This can be a very aversive experience for a dog and certainly not a motivational experience. If that happens, your dog will not feel the stimulation at the exact time and your dog might make the wrong associations about what you really want from him and the learning process will be slower and/or your dog will not understand what you want. The importance of good contact cannot be emphasized enough. If we want to use the lowest effective level, we must always have good contact! Because of the obstacles, you will maybe go to a higher stimulation level and that will feel as a correction, which is not your intention if you want to use the e-collar stimulation as a language at that certain moment in the training process! Certain potential obstacles can be the reason of bad connectivity between the contact points and the skin. These potential obstacles are things like initial skin resistance, hair blocking the contact points, collar too loose or a combination of these obstacles. For motivational training, you want the dog to experience the e-collar stimulation on the exact moment when you push that button. In motivational training with an e-collar, the dog must learn the signal as it is communication and motivational and not just as a correction. For that, you need to make sure that the connectivity to the skin is 100% good so that the initial skin resistance and other obstacles are minimized or nonexistent. What is necessary to make sure that the signal goes from contact point A to contact point B as smooth as possible with the least resistance? You need the best connection with the skin and you don’t want to have any doubts about that. In fact, a signal that informs you that you have good skin connectivity would be highly desirable! The Chameleon® II with Martin System core has something like that; when you turn the e-collar on, some LED’s flash very fast and that means NO CONNECTION. 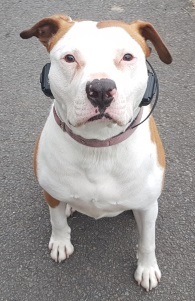 As soon as there is a connection, they stop blinking so when you put on the e-collar on your dog, you know if you have a good connection! This is called the “contact measurement” feature. The following video is an example of the contact measurement feature with the Martin System micro collar receiver. The micro collar receiver is the e-collar brick from Martin System and as the name says, it’s small! The contact measurement feature is also an existing feature on every Chameleon® II e-collar. So how do you know with other e-collar brands that you have that good connectivity with the skin, which is so important? You don’t know, you can only guess but with the Chameleon® II and/or Martin System, you know! The following video is with my Martin System micro collar receiver on my dog and you will see that the LEDs stop blinking as soon as there is a good contact. Knowing that for sure is important if you want to use your e-collar for motivational training. I mentioned “initial skin resistance” but what is that? Specialists told me that the resistance in the skin of a dog lowers as the electrical signal goes through. The skin reaction about electricity is not linear, the first layer of the skin has a very high impedance. When we apply a voltage on it, this first layer is broken and the impedance decreases. This behavior was tested & seen with the collaboration of a university! I will call that behavior the “initial skin resistance” so you need to understand that even pure skin resistance is a variable and not linear. That means that if you are working with an e-collar on –for example- level 12 from 100 or 127 and once the electrical signal finds its way to the other contact point, the dog will feel the signal even better because the “road” to the other contact point is already made and transformed from a dirt road to a highway. It’s like suddenly switching from a copper connection to a fiber connection in nearly no time! I think it is clear that there is less resistance on a highway compared to a dirt road or on a fiber connection compared to a copper connection. The impedance (you can understand the term impedance as a complex resistance) decreased so stimulation feels more intense for the dog, even on the same level and that can mess up your good intentions with a very sensitive dog when using the e-collar as a motivational stimulator. Martin System has a patented solution for that named “Stimulation à Sensation Constante” (S.S.C.) and since the Chameleon® II has a Martin System core, it too has S.S.C. on board! Before you ask yourself what S.S.C. is, let me explain that in the next topic. S.S.C. is a patented feature from Martin System and S.S.C. is an abbreviation for “Stimulation à Sensation Constante” which means stimulation with a constant awareness (Constant Stimulation Sensation). It is something which makes sure that the feeling for the dog on a particular level always feels the same, independently of the resistance and that in real time. It is like a constant & real time calculation of the resistance between the contact points with an automatic & constant adjustment of that stimulation level. When the resistance between the contact points changes because of any reason, the stimulation adapts. As a result, you don’t have to switch to other levels that much. Earlier when I worked with other e-collar brands, I had to switch levels much more often because the context of the training changed (for example wet dog, other distractions etc…) or even because of the initial skin resistance but changing levels is always a manual operation. And because it is a manual operation, you are always too slow! You walk behind the facts! So dependently of the context, you will go higher or lower but with S.S.C. it is automatically calculated and adjusted IF the context doesn’t change too much because of the distractions. And if you do have to change levels, you can also work with another program, an additional finger kick or a combination of that (a finger kick looks like a ring with a button and you can use that instead of the button on the transmitter, however you need the transmitter with you but I’ll explain more about the finger kick in a dedicated topic later on). Again, don’t confuse that with the idea about using different motivational levels in a context with more & higher distractions because that’s something different. To understand and explain S.S.C. even better, I tested this in a lab with an electronics engineer. In the lab environment, we had an adjustable resistance and we lowered that resistance while we stimulated with constant stimulation. If S.S.C. works fine, the intensity of the stimulation should lower because the resistance lowers (that is a simulation like when your dog jumps into the water or even every time you stimulate because of the initial skin resistance). In the following video, you see a pulse in constant stimulation measured with an oscilloscope and we zoomed in until we only had one pulse. The stimulation is a constant stimulation and WHILE we stimulate, we lower the resistance and that is a simulation like when your dog jumps into the water and the resistance between the contact points lowers because of the wet skin. As you can see, S.S.C. works great and it is one of the features that the competitors don’t have and maybe the integration of such a feature in any e-collar should be a part of the animal welfare strategy because S.S.C. is a feature which gives a more stable training experience with a better feeling for the dog. Previously I worked successfully with Dogtra and used other e-collars like Petsafe (not going to use that again, not happy with the results at all), Garmin, E-collar tech and Martin System. 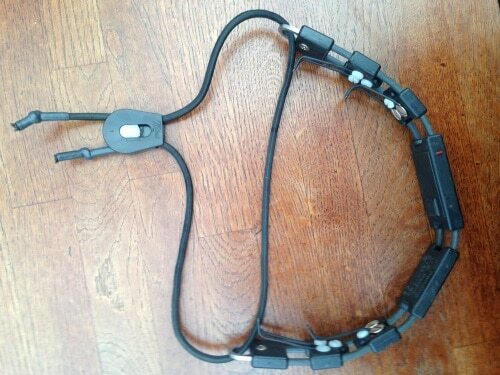 You can work successfully with these e-collars but it depends on the dog and what you want to achieve specifically. You need to specify what success means to you and if you don’t have the knowledge as a regular user, it’s difficult to describe what success means because if you don’t have the knowledge, you don’t know all the possibilities. Do you want to use your e-collar as a correction device or do you want to use it as a motivational device? Or both? A regular –unexperienced- user who buys his e-collar on the internet will not have the knowledge to use the e-collar stimulation as a language but educated users who went to a good dog trainer will and should know. As told, the connectivity with the skin is very important and one of the latest innovations from Michael and Bart Bellon are the Chameleon® Feather Contacts. These Chameleon® Feather Contacts are sold separately and if you don’t have them yet on your current Chameleon® II collar, you can still buy & connect them afterwards (it’s fully compatible). The purpose of the Chameleon® Feather Contacts is to have the best connection with the skin to avoid connectivity problems. When I received the CTT® prototype with the Chameleon® II collar and the finger kick and started to use this equipment, it became clear what e-collar stimulation as a language means. Before, I had good results when training my dog with other e-collars but when I think about it afterwards, I probably also had connectivity issues and the electrical signal itself from Martin System is also more motivational in my experience. Raising the levels on the Martin System PT 3000 transmitter doesn’t mean that you only send more power to the micro collar receiver (the e-collar brick)! No, Martin System uses power, width of the pulse, more pulse and a larger pulse to change the stimulation experience so it is a quite complex signal. With other brands I too had good results, a happy dog and I also used lots of other motivators but when I worked with the Chameleon® II with the feather contacts and the other features it has, it was different and that is because the different features accumulate for the best result. It is like 1 + 1 + 1 + 1 = 4. With that I mean “1” for the feather contact points, “1” for the Martin System electrical signal, “1” for S.S.C., “1” for the finger kick and that is what makes “4”. The higher the score, the better the training experience is for the dog. If you have a good e-collar without feather contacts or feather contacts with a less good e-collar like without S.S.C., then your outcome will be only 1 or 2 and that is a lower score than 4 so not that good. The CTT® has 18 levels of stimulation and earlier I worked a lot with devices that had 100 to 127 levels but from my current experience, you don’t actually need that many levels or at least not with the CTT® or the PT3000 from Martin System. When I worked with e-collars that have 100 to 127 stimulation levels, I had to change levels more often than when I have only 18 levels with Martin System so I was quite a lot busy changing the motivational level and that is because at that time, I already tried to use the motivational level every time. The pictures above are from the CTT® and the Martin System PT 3000. The CTT® is the prototype I received for testing and as you see it is robust, it has a clear background, you will have the possibility to stick it to a magnet on your clothes (arm/leg,…), it will have a home button (that is a stimulation button you can use if you lose the finger kick) and you can charge the CTT® by induction (rechargeable battery) so with these features, the name tactical is well chosen. The engine of the CTT® is the PT 3000 from Martin System, you can see PT3000 transmitter below. The PT 3000 transmitter is bigger and not as robust as the CTT®, in fact the PT 3000 transmitter design and feeling is the only thing I don’t like that much about the PT 3000. The engine of the CTT® is the Martin System PT 3000 and later on, another product will be engineered, the CTT-B®! The CTT-B® is a transmitter that will have the possibility to communicate bidirectional. This means that it will be possible that the receiver will also send information to the transmitter whereas now the transmitter only communicates in one direction with the receiver and that’s what we call unidirectional (one way communication). With the CTT-B®, you will receive information on the transmitter from the receiver about skin connectivity with the dog, radio connectivity between the collar and the transmitter, temperature around the collar, and battery levels of the Chameleon® III and the CTT-B®. The connectivity warning could be a vibration or tone or something flashing on the transmitter so you will know when the contact points have no connectivity. The CTT-B® will be compatible with the Tiny Trainer, the micro collar, the Chameleon® I and the Chameleon® II but the bi-directional feature (where the CTT® transmitter will tell you information about the range, contact measurement and temperature and battery life) will only work with the Chameleon® III which will also be bi-directional. This product is not yet in production and will be available in 2018. Today with the current equipment you have the skin connectivity information too with the Chameleon® II but it is on the e-collar and not on the transmitter. With the CTT®, you have the possibility to connect multiple finger kicks (up to 4) so you can switch instantly to another program on another level (or tone or vibration or another type of electrical stimulation). On the CTT®, the battery is rechargeable by an induction plate whereas on the Martin System PT3000 transmitter, the battery is replaceable and you have to open the device to change the battery (but it’s easy with 2 screws). The CTT® has only one strong metal push button (that is the program button), which you can also program as a stimulation button for when the finger kick is not working, not available or lost or any other reason why you can’t use the finger kick. The reason why the CTT® doesn’t has a lot of buttons is because it is “Tactical”, the button is a strong metal button which should last for a long time and the turning button on top also feels robust & qualitative. Charging the CTT® and the receiver (the Chameleon® II) is done by an induction plate. The reason for induction charging is because it makes the equipment even more robust and waterproof, just drop and charge. The finger kick is a great tool. It works wirelessly. It looks like a ring, and you need to pair it with your transmitter. With the finger kick, you don’t need to hold the transmitter in your hands. The finger kick has a button and you can pair the finger kick with one of the programs of your transmitter. With the finger kick you can train very accurately because you have your hands free and when you use multiple finger kicks, they instantly switch from one program to the other program in no time. Working with the finger kick is faster than working with the transmitter in your hands. The reason for that is because pushing a button with one finger goes much faster and more automatically than having a transmitter in your hands. It’s just like information from your brain that goes directly to your finger that pushes the button as you train and watch your dog. Of course, you need the CTT® transmitter or the PT3000 also with you or on you but you can put the transmitter away in your pockets, connect it on a training glove or to your clothes with a magnet. A finger kick is not rechargeable but as the manual explains, it can last 7 – 10 years on normal use or 2-3 years when used intensively but don’t pinpoint me on that because a manual is what it is so it will depend on how frequently you use it. After that time, you will need to replace it by a new one because you can’t open it to renew the battery. The purpose of the Chameleon® II with Chameleon® Feather Contacts is to avoid the potential obstacle problems completely (hair blocking etc…) so you will always make good contact with the skin at any time. The Chameleon® Feather Contacts are also blunt so they don’t hurt the dog and good connectivity should be easy, even on dogs who have a heavy undercoat. On the Chameleon® II, you have the possibility to add extra contact points in different configurations (up to 12 on the Chameleon® II Double Contact and up to 6 on the Chameleon® Single Contact); there is only one power source so if you only make contact with one positive and one negative, you will have contact; the Chameleon® II is fully waterproof; the quality looks good; it feels solid and it looks nice on the dog too. You can also put it lower on the neck and that is how it should be because the Chameleon® Feather Contacts make the best contact when they can move a few millimeters upwards. The Chameleon® II is specially designed to have space between the islands where the hair/fur can go through. Allowing the hair/fur to escape through the holes helps with contact and stabilizes the collar itself and it makes a more ergonomic fit. The feather contact points are unique in e-collar technology, Bart & Michael Bellon are very experienced dog trainers themselves so they experience all the problems one can encounter and they improve their products when they think it is necessary to get better quality. Important to understand is that –with Direct Current- the electrical signal flows between a positive and a negative pole (positive to negative according to conventional current). With a multi-meter, I could determine which contact points are positive and which are negative so all current can flow between positive and negative but NOT between positive and positive or between negative and negative. The electrical signal flow with 2 contact points is easy, one contact point to the other contact point. But when you connect 4 contact points (for example 4 feather contact points), how will the electrical signal behave? And how will it behave if one flow has a bigger resistance than the other flow? How will S.S.C. behave? Will S.S.C. recalculate according to the lowest or to the highest resistance? That is important to know because that can have an influence on the experience for the dog. In the following video you can see how the electrical signal works with a test light when using 2 contact points. Nothing unusual about that setup and it works as you expect it to work. If you have a dog with long hair, more fat under the skin, a heavy undercoat or whatever the reason is that 2 feather contact points don’t make enough contact, you can add 2 more however I am told it is very unlikely that this would be necessary. 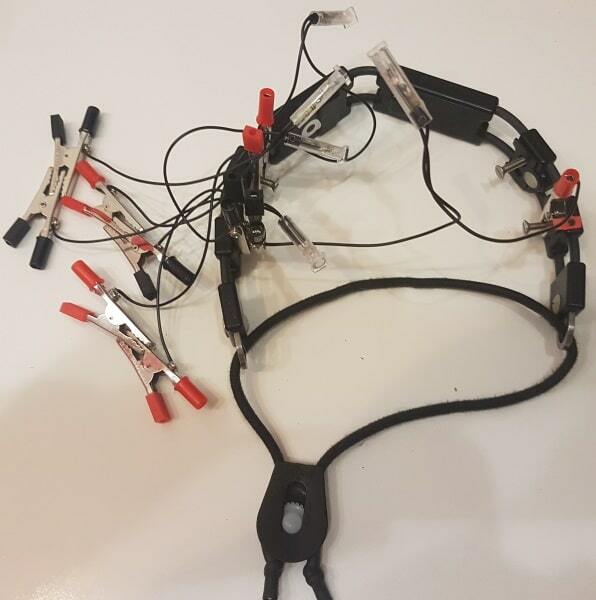 This is the setup, you can see that I connected some screws instead of the feather contacts but that’s only to connect the crocodile clamps with the lights to it. Every light has also a resistor incorporated. With 4 feather contact points, the electrical stimulation has more possibilities to flow from one point to another but NOT between any point (only between positive and negative). As you see, nothing happens and the video is made only to show you that you cannot have stimulation between contact points with the same polarity. Another example of that is the following video with 3 connections in total. 2 between positive/negative (A1-A2 and B1-B2) and 1 between positive/positive (A1-B2) and as you see, only the positive/negative connections light up. The following video shows how the electrical signal flows when there is a good connection between all contact points (there is a connection between A1/A2, A1/B1 and between B2/B1 and B2/A2). There is no connection made between contact points with the same polarity because it should be clear now that nothing happens between contact points with the same polarity and you always need 2 different poles to have your e-collar working. As you see, all lights light up so now you know how the stimulation flows between the contact points! The advantage of this system with 1 core and multiple contact points is that you can’t have any mistakes regarding the flow between the contact points. With that I mean that it is possible that one connection has a different resistance value than another one and that can be because of different reasons as mentioned earlier (hair blocking etc…) so when that happens, how will your e-collar react? The Chameleon® II with S.S.C. and 2 contact points can handle that (I showed you that in the video that explains S.S.C.) but when working with 4 contact points, do we still have a stable stimulation? A same feeling? So what will happen if there is one connection with a different resistance and what will happen when that resistance suddenly drops and comes back? That is a comparison like if you would have bad skin connectivity or like when your dog jumps into the water (hunting dogs). Ideally it should calculate its values amongst the path with the least resistance because that is the best choice, that is the highway path! In the following video, you can see how I connect and disconnect one path during a stimulation. The path that I connect/disconnect is also a connection with a higher resistance (I connected several lights with an incorporated resistance in series). As you can see, the light in the middle doesn’t burn brighter when I connect or disconnect the other connection with the higher resistance. For me, that means that this electrical core with S.S.C. works fine, even with multiple connections and different resistors. But does such a setup works the same when using a double brick system? How is the behavior –in a double brick system- if both bricks have only contact with one contact point? (A1 with B2 on the picture, normally it is A1/A2 & B1/B2). I assume that the stimulation will still work because both bricks are synchronized with 1 transmitter but you might think that you don’t have good skin connectivity. It is possible that you go to a higher level and when you –later on- have good connectivity again with all contact points, it might be too high to be motivational. Maybe that will rarely happen but technically, I think it is possible (however I didn’t test this so it is an assumption). The CTT® will cost 1299€ (VAT for Europe included), customers from countries outside the EU will not pay VAT when they ship outside the EU. The cost for the CTT® is higher than what you pay for other transmitters and then you only have the transmitter but innovations and quality come with a price. If you have a limited budget, the CTT® will not be for you but if you are serious about dog training and you want the best quality and you have the budget, you probably want to have the CTT®. If you don’t have the budget for the CTT® or the Chameleon® II or you already have an e-collar and don’t want to buy a new one but you are thrilled about the feather contact points, then there will be an alternative solution! That alternative solution is a new product that will hit the market real soon and it is called the Chameleon® Extenders. When you currently experience poor skin connectivity, you can connect different contact points (comfort pads, long contact points, contact points for dogs with a heavy undercoat etc…) to your e-collar brick as an alternative for your current e-collar contact points but from my experience, I have the best connectivity with the feather contact points. The Chameleon® Extenders is a collar that looks like the Chameleon® II collar but without the integrated e-collar receiver and without a transmitter, just the collar! With the Chameleon® Extenders, you can use the Chameleon® Feather Contacts (or another type of Chameleon® contact points) and you can connect your e-collar brick from another brand to it. But it’s not only the Chameleon® Feather Contacts that make the perfect connectivity, it’s also the design of the collar! The collar (Chameleon® Extenders collar and Chameleon® II collar) is designed in a way that the fur still can get through the collar (the hair can move out of the way) and that helps too for extra stability of the collar. If you watch the following picture, you can see that fur goes through the collar and I never had a problem with connectivity in any position my dog moved; in fact, this collar feels most comfortable for the dog in my experience. The Chameleon® Extenders is also a cheaper solution than buying a complete system because you only need to buy the collar and Chameleon® Feather Contacts, as an add-on to your current e-collar. To test the influence of the collar design on the feather contact points, I made the following setup: My Martin System micro collar with the Chameleon® Feather Contacts! This setup is experimental and even a PATENT INFRINGEMENT because the feathers are part of the Chameleon® patent. 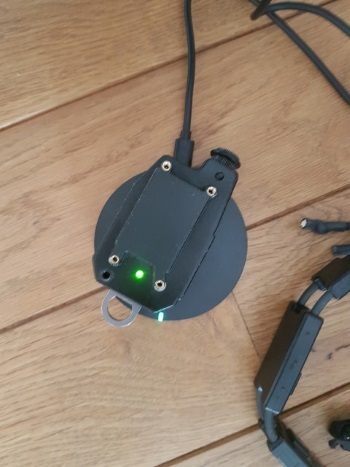 So you cannot use the Chameleon® Feather Contacts like that and I did it only to see how it looks like and if the LEDs stop blinking faster than without feather contacts on my own e-collar. It is a comparison to see if I get better connectivity with almost the same equipment, with only a difference in contact points. This is not a good configuration because there should be a Chameleon® Contact Feather at each side of the collar for better stability and the fur can’t get through the collar which also doesn’t help for stability. 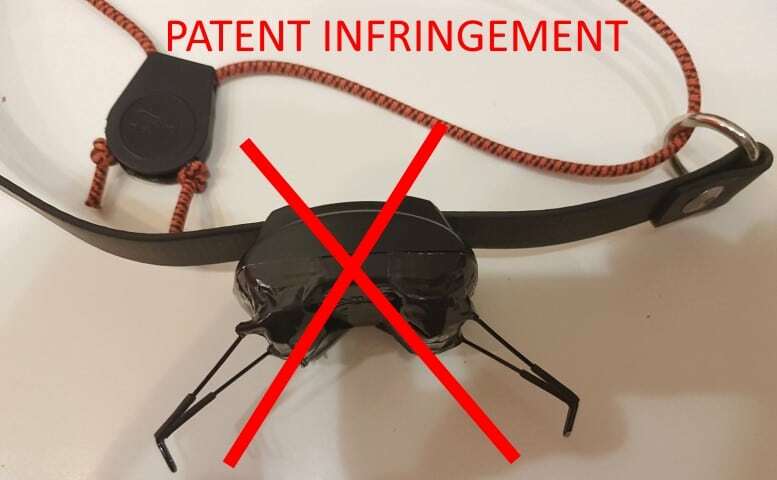 You can see on the video that the collar is lifted because of the Chameleon® Feather Contacts and the e-collar is a bit wobbling. With the Chameleon® II collar or the Chameleon® Extenders, you don’t see the Chameleon® Feather Contacts and it’s very stable around the dog’s neck, in any position the dog moves. However, I wanted to test it with the same e-collar just to see if there is already a difference, and there is but I only tested this setup with the dog in a static position and I don’t believe it would stand as a qualitative solution. You really need the designated collar because the Chameleon® II collar/Chameleon® Extenders and Chameleon® Feather Contacts are designed to use together. 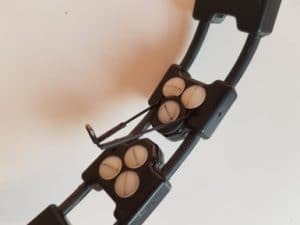 Later on in this review, you will see that -with the Chameleon® II collar- I have an even better connection and that is because the design of the collar. As you can see in the video, I always have contact in that position without movements and unlike my own Martin System micro collar with normal contact points where I sometimes have to reposition the e-collar brick to be sure of a good connection. But at least I know (with my MT PT3000) because the connectivity LEDs show me exactly when I have a good skin connectivity and I can reposition the e-collar until I have good contact. The question is, do you know it too? Do you want to use a device on your dog where you don’t know for sure if one of the most important parameters –which is connectivity- is 100% good? Using only the Chameleon® Extenders won’t tell you that you have good contact but as I tested it and as you could see, I always had good contact using a collar with Chameleon® Feather Contacts on my dog. This setup as it is in the video doesn’t look nice and can’t be used like that but it is some proof that the feather contact points have a direct positive influence on the connectivity with the skin. In the following video you see me doing a test with the Chameleon® II collar to see what’s the impact & difference of using all the right equipment (Chameleon® II collar with Chameleon® Feather Contacts). I use the Chameleon® II collar instead of my Martin System micro collar on a Chameleon® Extenders because I would had have to change the Chameleon® Extenders equipment. Using the Chameleon® II collar is quicker and basically it doesn’t make a difference for this test because the Chameleon® II and Martin System with the micro e-collar brick use the same core and with the Chameleon® Extenders also the same collar. Normally you have to connect it with the bungee cords on top but I do it the other way around so you can see on the connectivity LEDs if there is a connection. When the LEDs blink fast, no connection and when the don’t blink, there is a connection. As you see in the video, I always had a good connection and I didn’t had a hard time with it. I didn’t had to reposition the collar so it does a great job! Using the Chameleon® II or the Chameleon® Extenders will give you the best possible connectivity with the skin and as a result the best training experience for your dog. I tested the Chameleon® Extenders with different e-collar brands and here you see some pictures from the Chameleon® Extenders with other brands connected to it. My conclusion (on my dog) using the different brands is that –using the Chameleon® Extenders- I have good connectivity but I noticed the best training experience with the Chameleon® II collar or my Martin System micro collar. Saying that, it doesn’t mean a lot because I only tested this with my dog so don’t take that as proof of anything. It’s my own experience. But if I could give a reason for that, it is that is that the Chameleon® II or my own Martin System micro collar have another electrical signal and S.S.C. 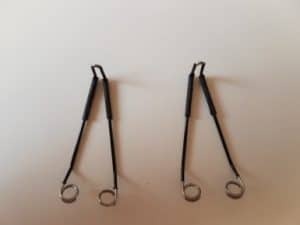 The Chameleon® Extenders will be compatible with all the current well-known brands so when it is available, you can check in the product details if it is compatible with your specific e-collar. 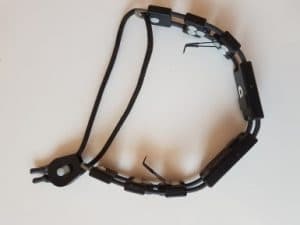 It will be an elastic perfect fit collar so it will fit easily around the dog’s neck and it should be easy to connect your e-collar brick to it. The cost price for the Chameleon® Extenders will be much lower than the Chameleon® Tactical Transmitter (which is logical because it is a different product: it’s just the collar). 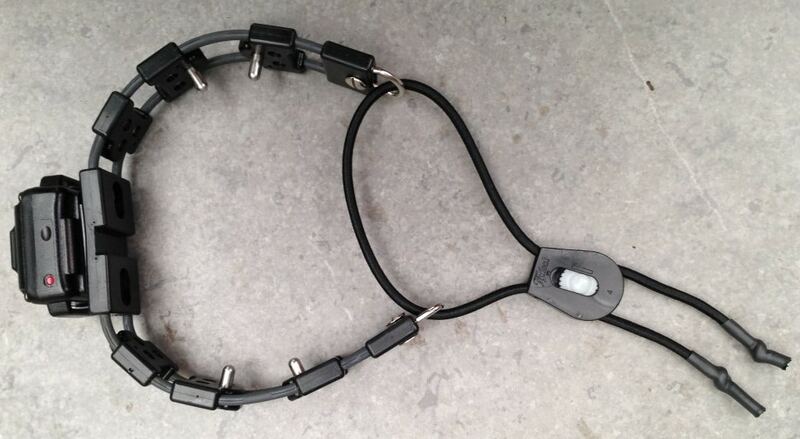 The price for the collar without contact points will be approximately 199 € (VAT incl.) so if you are interested in a collar with the best connectivity but you already have an e-collar from another brand or you don’t have the budget for a Chameleon® II with a CTT® then the Chameleon® Extenders might be good for you! After testing the Chameleon® II and the CTT® with features as feather contact points, interchangeable contact points, slick ergonomic design, Martin System S.S.C., Martin System electrical signal, connectivity LEDs and finger kick; it is clear that this e-collar equipment has some unique features which make this e-collar superior, compared to the other brands. With Chameleon® equipment, you choose for real innovation. No sales talk like “muscle stimulation”, “blunt stimulation”, “tens machine” but real innovations! These features are very important and as you can see in the videos, I have to reposition my Martin System micro collar a bit to make sure that I have good contact and that is with a dog with short hair and no specific heavy undercoat. With the Chameleon® II collar, I had instant connectivity every time. The connectivity LEDs feature (actually the real name is contact measurement system) is a feature that should be integrated in every e-collar because that’s an animal welfare issue right now! 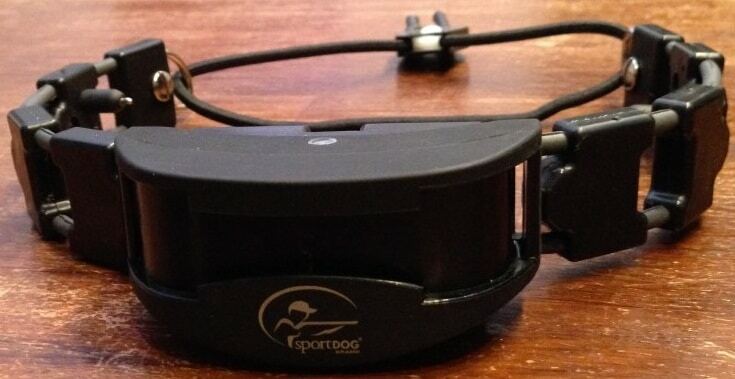 Competitors—other e-collar manufacturers—also hit the market with new e-collars. They make them smaller, maybe more different programs and other toys but if they don’t have a feature like the connectivity LEDs, you never know if you have 100% good connectivity! There is a big chance that the skin connectivity isn’t optimal so often it’s an old device in a new jacket, it is old technology! Because of the connectivity issue, people use workarounds with double brick, triple brick but those are what they are: workarounds! I explained the different interesting features so you have to decide for yourself and your dog how important they are for you and your dog. I already made the decision for me and my dog! Chameleon® and Martin System are more expensive than the other brands so this equipment is an investment! If it is too expensive, you can buy the Chameleon® Extenders if your e-collar is compatible and if you want to be sure about the skin connectivity. You won’t have the connectivity LEDs but the feather contact points are the best contact points you have, I am 100% sure about that and I hope that my explanation and videos are clear enough to see that. I also explained some principles of motivational learning but please don’t think that with this info you know enough to train your dog with an e-collar because motivational levels change and there are other training techniques too but what I want you to understand is that the basics about e-collar training is to make sure that you have good skin connectivity and that the stimulation on a specific level should always feel the same, no matter what! I hope I educated you somehow with this review & I want you to know that I am not paid or rewarded in any way to make this review. I made the review because I am interested in technology and in dog training and I want to share my knowledge with you. Understand that this review is my own opinion, if you have another opinion, good for you. When will the CTT® be available? When will the Chameleon® Extenders be available? Muscle stimulation is term that is often used when people or companies try to explain the feeling of the stimulation but it’s a wrong explanation because muscle stimulation is normally done on a muscle with one contact point on the beginning of a specific muscle and one on the end with the intention of stimulating that muscle. With muscle stimulation, you only feel the stimulation on the muscle and not on the nerves and that is the intention of muscle stimulation (that’s how I felt it when I once tested a professional muscle stimulator on myself). Also, if stimulation by an e-collar would be pure muscle stimulation, the contact points should also be positioned differently and you should turn the e-collar brick for 90 degrees (beginning and end of a specific muscle). You don’t exactly need muscle stimulation (however it is a side effect) because stimulating the muscle is not something that you really feel, it’s not a feeling that you will pick up very fast. “Feeling” something is done by the nerves, they pick up the signal and it depends of the place where the contact points are connected (more or less muscles) if the stimulation will be picked up fast or not & how intense it will be felt. 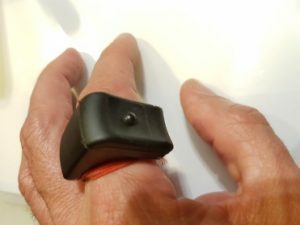 With the Martin System PT 3000 micro collar, I can feel a level 3 on the inside of my hand or my fingers very good (not much muscle tissue in my fingers). On my arm I already feel it less (more muscle tissue) and on my neck, even less and that is because you have a lot of muscle tissue in your neck however there are lots of nerves in the neck region too and the motivational stimulation level also differs from where the e-collar is placed. For example, today I was trained myself with an e-collar to experience and understand it even more and the motivational level on myself with the micro collar in my neck (side) was level 5. It didn’t felt harsh, it was there, I felt a stimulation and that is the intention of the motivational level; you feel something which helps you but it shouldn’t inflect pain. This was done with Martin System equipment, I don’t know how it feels with other brands in my neck in a real training session but with my report about the electrical signal in e-collars in mind; I think Martin System stimulation feels most comfortable. E-collar stimulation isn’t exactly muscle stimulation but in practice, it isn’t pure nerve stimulation too. They are somehow connected to each other but explaining that e-collar stimulation is the same as muscle stimulation is not correct. Ideally, e-collar stimulation is a signal that should be picked up by the nerves really fast but since the muscles are there and since we are no anatomy experts, the feeling can change dependently of where you connect the e-collar and that’s why you should retest your stimulation levels on your dog every time because muscles can block the feeling too. At one time, I had to undergo an EMG (Electromyogram) to test the quality of some nerves and I can tell you that there is a big difference in muscle stimulation and nerve stimulation and if you only want to feel something, then you need your nerves to pick up the signal. Of course, to do so, you need good skin connectivity (feather contacts) and you need to know for sure that you have good connectivity (connectivity LEDs) and a same feeling during the stimulation (S.S.C.) so you understand the need for good quality? I have heard the term “blunt stimulation” too as an explanation for soft/comfortable e-collar stimulation. Blunt stimulation is sales talk and they refer to a softer, wider electrical signal which feels comfortable. With an explanation like that, it seems that blunt stimulation is a unique feature but first of all, there is no such a thing as blunt stimulation and secondly there is much more necessary to have a comfortable feeling and when you read this review, that should be clear. A tens machine is what it is; a tens machine and is used for muscle stimulation only. As explained before, muscle stimulation is done with a contact point on the beginning and on the end of a muscle to train that muscle and you can’t compare a tens machine with an e-collar. Some trainers say they always train on a low level, but they really don’t or they do and don’t understand that dependently of the context, a higher level might be necessary and that’s called the low level lie. Training on the lowest possible level is the initial intention with motivational training but different dogs have a different sensitivity so what is low for one dog might be too low or too high for another dog. It also depends of the position of the e-collar on the neck (higher or lower placed, more or less muscle tissue etc…). Placing the e-collar higher or lower can already make a difference in the feeling so that you will need a lower or a higher level. Best is that you place the e-collar always at the same place and you should retest the stimulation every time, starting at level 1. I am also aware that for some situations, you need a higher level but then we talk about other training techniques in another context and that is beyond the scope of this review. My vision about dog training with e-collars is to train as motivational as possible to get the attention of the dog and I always keep in mind that every dog is different, has a unique character and a different drive and I also use a lot of other motivators. Dependently of the context, the training plan & the specific moment in the training process, I can work with different levels too but what I don’t want at all is to guess if the e-collar has good skin connectivity! That is something I want to be sure of! You are allowed to share it but not to change it.